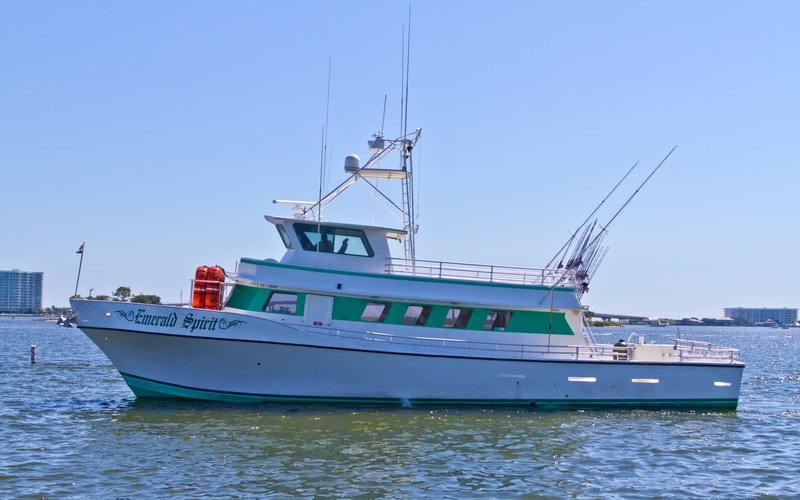 The Emerald Spirit is a 65' Bonner, powered by Twin 600 h.p. Lugger engines which allow it to cruise about 19 knots. 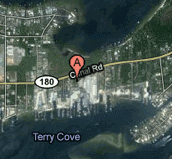 We have two 2.5 ton air conditioners/heaters, a 900 lb. a day ice machine, a 3,000 pound fish box and live-well. There is a refrigerator, microwave and large Green Egg. The Emerald Spirit is U.S. Coast Guard Inspected for Safety and Certified for 75 passengers out to 100 miles with overnight accommodations for 12 people from Apalachicola Bay, Florida to Brownsville, Texas. From all new steering and electronics to running gear and deck stringers, wiring, paint job inside and out to plush new cushions in the v-berths. 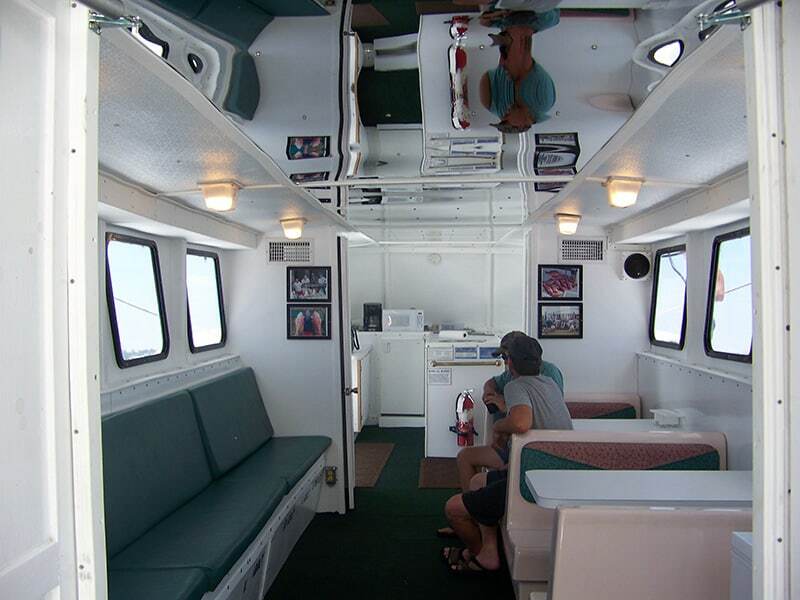 We have literally re-built the entire boat from top to bottom with the latest and greatest accommodations a fishing charter vessel can have. The Emerald Spirit has all new tackle. 70 matching rods and 4/O Penn reels. We have a 100 gallon live well to keep all the live bait you can use fresh and vigorous. 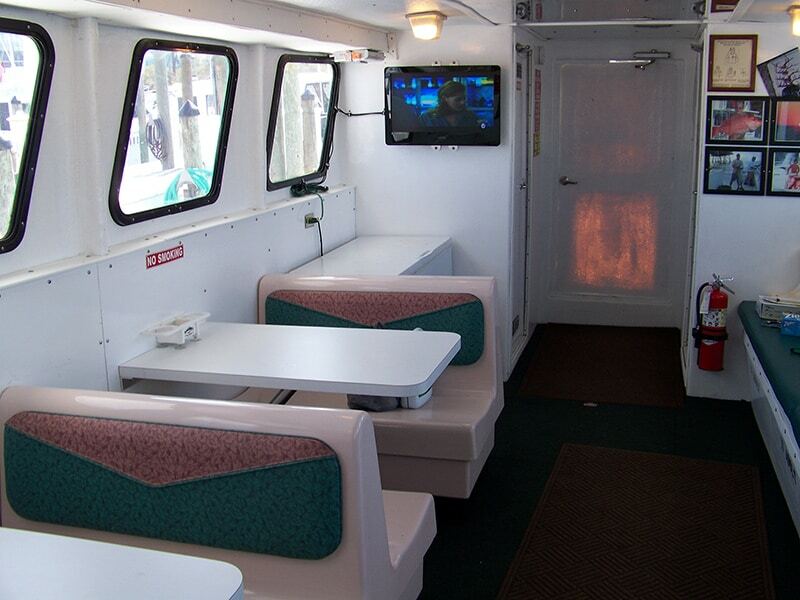 With over 160 feet of rail space over the walk around deck, there is plenty of room to fish anywhere you please. 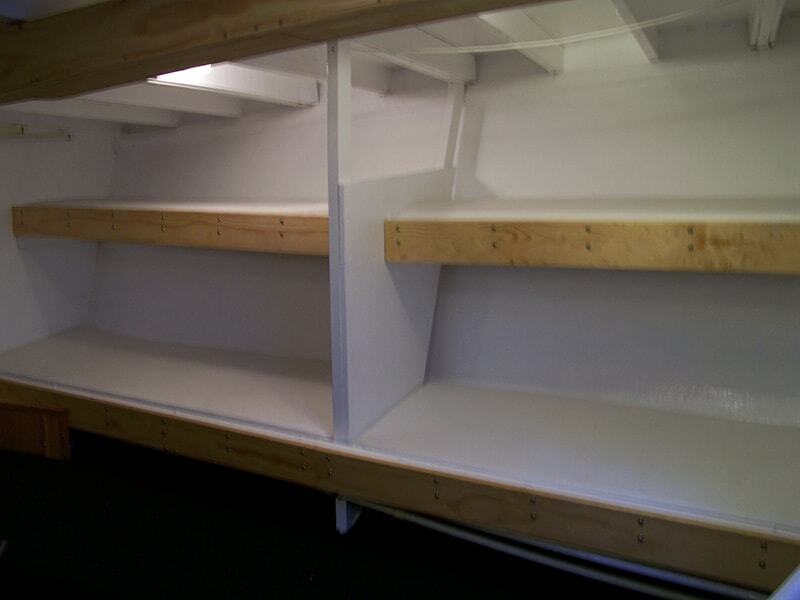 Two bathrooms have hot water showers and the cabin has plenty of air conditioning or heat to keep you comfortable. 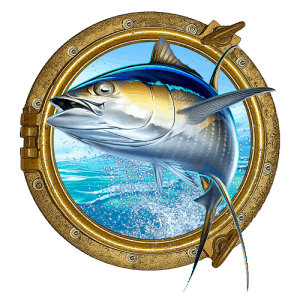 Book your fishing trip online now!